Our latest series features Kickstarter campaigns where we’ll show you some ongoing projects which have either been fully funded, or require further funding, to shape the future of driving. Kickstarter is an online platform where people can crowdfund for their designs to become a reality. In our second post of the series, we’re going to help you to take a look under the hood of some car gadget themed Kickstarter projects. The TrapTap is a great little gadget, providing you with the knowledge to avoid fines and stay safe on the road. Using detailed mapping and crowdsourced alerts, the device warns you of speed traps, red-light cameras, school crossings in addition to an array of others, to help you stay aware of what is around you. The device is portable, simple to use, and keeps you informed in a distraction-free way. The unit also comes pre-mapped for over 60 countries, including the UK. The TrapTap campaign finished in May 2016 at $361,460, attaining 439% of its initial $85,000 funding goal and can be purchased from their Indiegogo page from £84. The portability and two-year battery life of the TrapTap make the gadget retain it’s value. The video says itself that hardwired GPS units that have the same function cannot be passed from car to car and the idea of keeping it to hand in your pocket makes it great for people in the motor trade or homes with multiple vehicles. the electronic OBD (On-Board Diagnostic), mount the display on your dashboard, pair the app to your unit and you’re away. The system uses your vehicle’s diagnostic system to find the ‘sweet spot’ for driving your car. The dashboard unit will then change colour to indicate when you are reaching the cars most economic point, helping you to save fuel and reduce emissions. The app lets you monitor your driving history and work out what driving style is most suited for your vehicle. The project was a big hit back in June 2015, raising $160,150 in funds – over three times the amount of its $50,000 pledge. Our favourite feature is the dashboard mount. We all know that we can get better MPG out of our cars but aren’t sure when we are accomplishing it but thanks to the system’s algorithm for working out the ‘sweet spot’, you can now visualise the financial savings in a distraction-free way because with GoFar, you can see where you are getting the most for your money. You can buy the GoFar system on their website for £106. AutoPreme is promising to be the next generation of vehicle mat, providing luxury and functionality that are perfectly shaped to your vehicle. They offer easy to clean and scratch-resistant artificial leather mats with features like heel grips, anti-slip bases, locking mechanisms and more. The AutoPreme mats can be installed in less then 10 minutes and come in an array of different colours. Bluejay was introduced as the world’s first smart mount when it successfully raised $137,865 in March 2016. 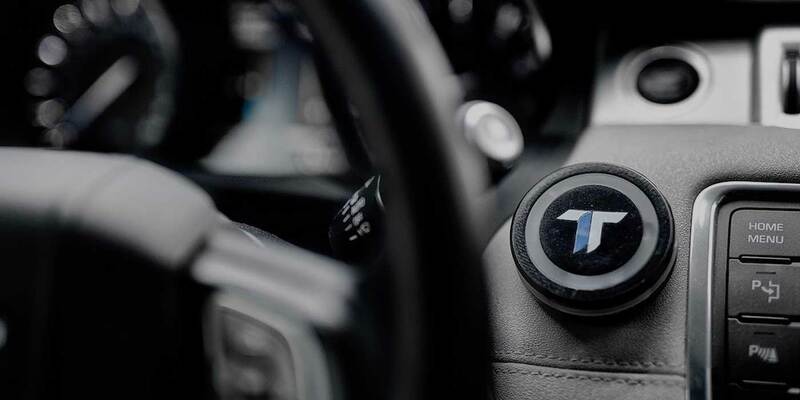 Made of aluminum and carbon fiber, the Bluejay smart mount serves as a phone-safe magnetic holder that can be mounted to your dash via adhesive pads, suction cups, or vent clips. It pairs with an easy to use phone app creates a simplified display, that allows you to forward your location, GPS navigation, and stream your music. It also helps you locate your car via your phone (and vice versa). The simplicity of this mount is surprising, considering all of it’s features. It’s compact but full featured design is refreshing in that it’s a simple and elegant solution to many problems, tying what could end up being 3 or 4 different devices into one streamlined unit. It’s easy to use and it makes sense!